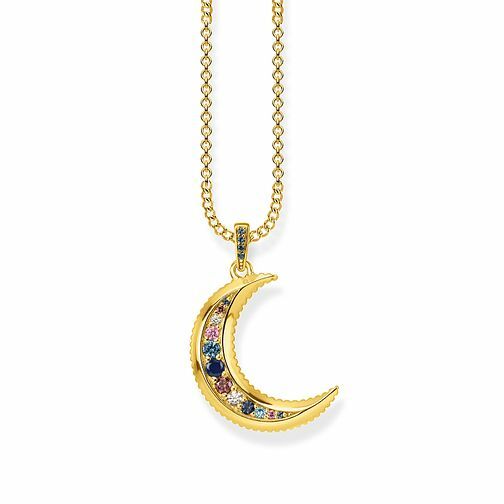 Sumptuously handcrafted in 18 carat yellow gold plated sterling silver, this Thomas Sabo necklace is a statement piece that is guaranteed to garner admiring looks. The vintage inspired design is set with a range of colourful stones giving it a regal touch. The lobster clasp gives this necklace the added functionality to be worn at varying lengths, allowing it to complement a range of outfits and necklines. This is the perfect complementary accessory to take you from day to night.